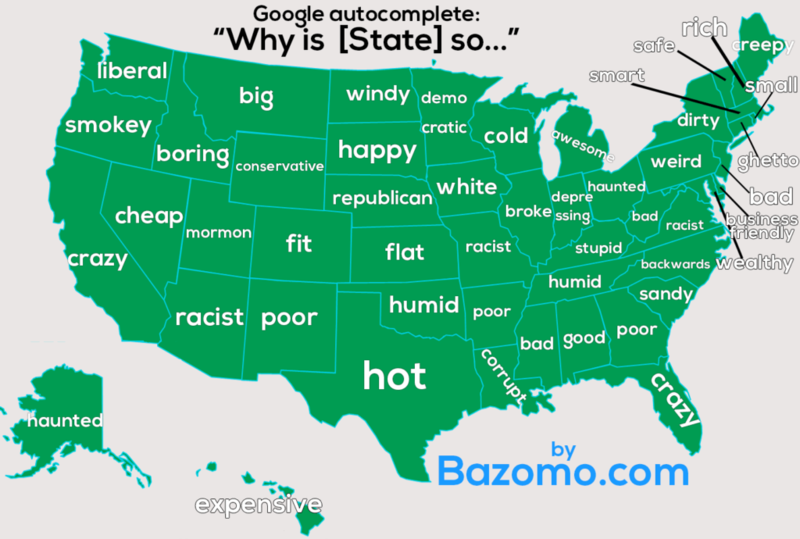 It's probably not exactly the toughest thing to figure out what the most commonly Googled autocomplete is when you ask Google, "Why is North Dakota so...?" There's several words that can finish that question, but according to Bazomo, the most commonly used word to finish that question that comes up in Google autocomplete is "windy." Essentially, many people are asking, "Why is North Dakota so windy?" There's an algorithm used by Google that will give you a number of autocompletes as a result of what others using Google have typed in while using a similar way to start out what they're typing. You can see the rest of the country's most commonly Googled autocompletes by viewing the map below. Given that we do have it pretty windy here, and depending on your opinion of wind in general, as you can see, it could be a lot worse in terms of what our Googled autocomplete could be. Happy Googling, everyone!